Officially licensed by the world's biggest leagues and competitions. 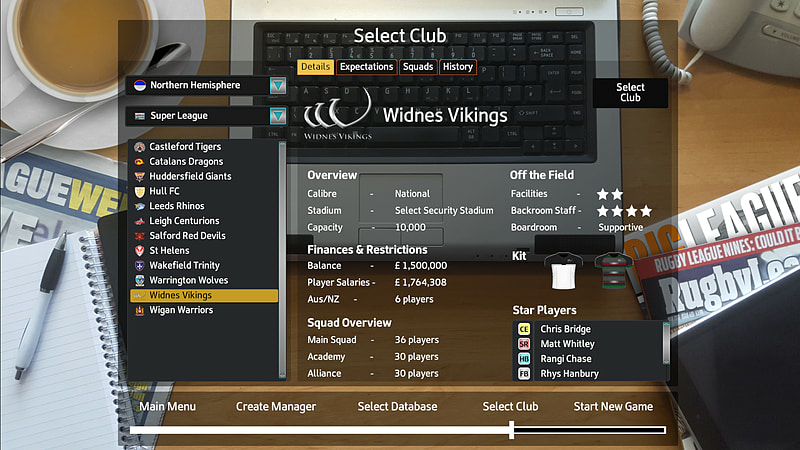 Rugby League Team Manager 2018 puts you into the heart of the action, of managing your Rugby League club. 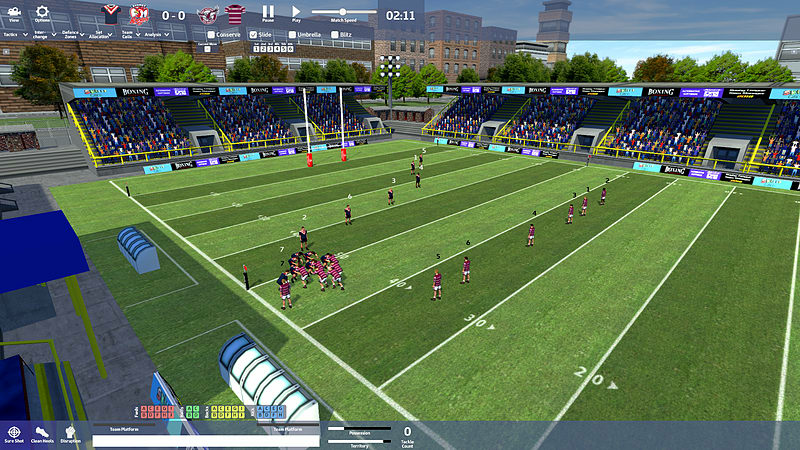 Navigate your way through domestic campaigns and international competitions, within officially licensed leagues, in both the North and South hemispheres, with over 10,000 players to choose from! Recruit raw teenage talent and nurture them through the academy, and the alliance. Then watch them blossom in the main squad and throughout their career into representative and international rugby. Featuring players from the best leagues, and competitions from around the World. Opt to splash out on transfer list stars, or chose to hunt out a bargain, amongst the out of contract players. With over 10,000 players and 230 clubs to select from! You can select to be a “shorts & whistle, training paddock” type manager, or a “suit & tie, negotiation room” type manager. Use your club's status to leverage favourable deals, to present to the Chairman and the board. Get involved with your club’s sponsorship, from the new small business deals, to large corporate sponsorship options, with the game’s new comprehensive financial receipt and expenditure feature. 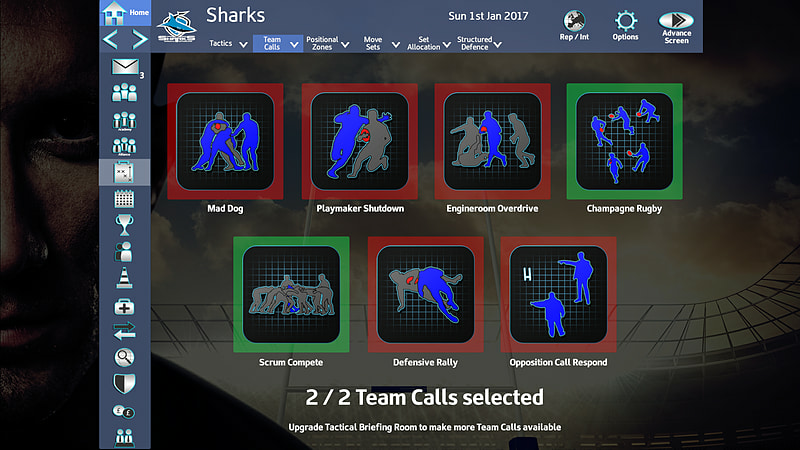 An all new engine which allows you to fully adapt tactics and playing styles from the touchline, all while the match is in progress. Steadily upgrade your stadium to an international sized arena. Look to improve all your facilities including: - Gymnasium, Training Paddock, Equipped Enclosure, Physio Suite, Tactical Briefing Room, and The Clubhouse. 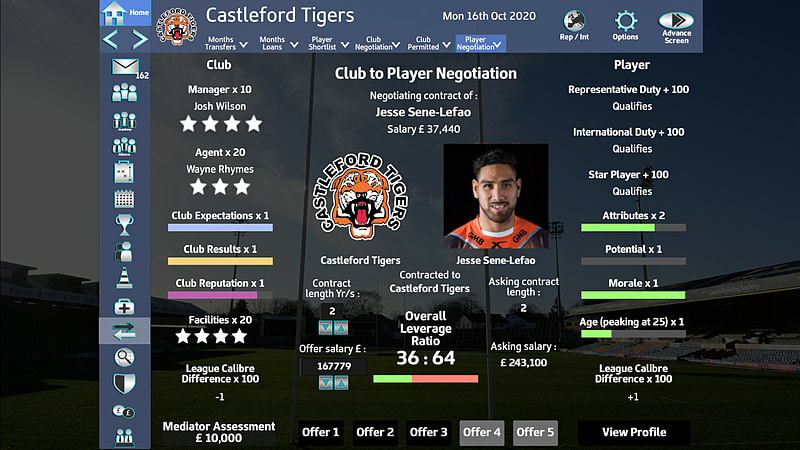 Manage your chosen club, then progress to manage international teams, testing your skills with the very best in the Sport. But if the Chairman's axe should fall, you can assess your options, and look to get a new job offer.